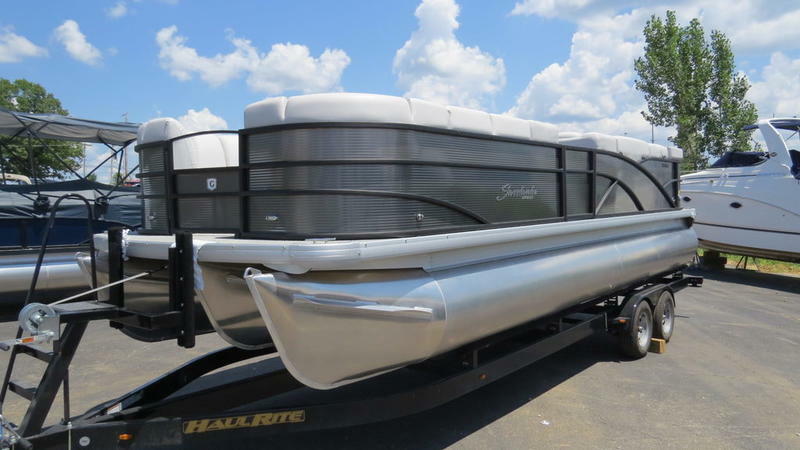 It’s easy to start a new family tradition with a Sweetwater Premium pontoon boat. The Sweetwater Premium makes each sunset a little brighter, each summer a little warmer, each memory a little clearer, and each outing a celebration. It takes your best family moments and makes them even better. When you’re ready to challenge the notion that there’s no place like home, climb aboard a Sweetwater Premium- where everyday can be a special occasion. The Spacious Pit seating with a rectangle table gives you more room to sit back and relax. The innovative ladder design makes it easier to hop in and out water. This ladder is wider and goes deeper into water to maximize the accessibility of your boat. 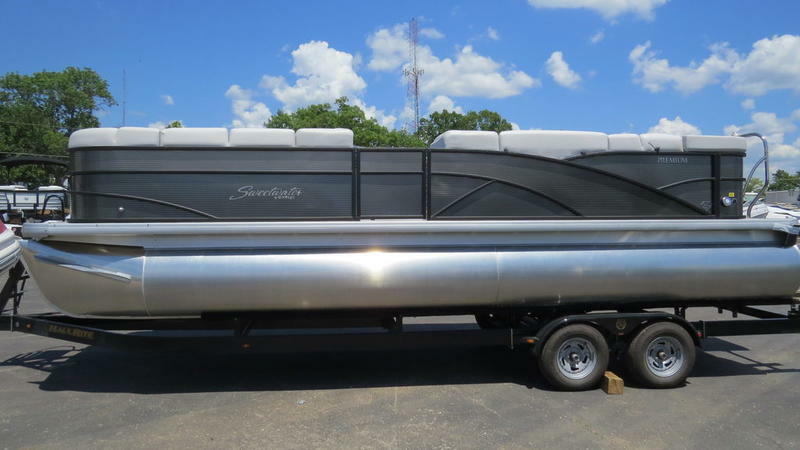 The plush Surluxe furniture allows you to enjoy the ride in comfort and style.